Silas started Smooth Feather Youth in 2017 and since that point has been collaborating with many inspiring filmmakers, musicians and graphic artists & outdoor enthusiasts to create a wide variety of programming for youth. In 2012, Silas moved back to his home state of Maine and bought the old theater in Kezar Falls which has been a passion of his to restore. This 1880s theater is now a venue for all our youth programming and also a location for many events we host for the entire community. Jay is a film composer based out of NYC that has been scoring our films since the very beginning. Music is such a vital element in making films come alive, and Jay continues to inspire us with his gift for creating soundtracks. Jay recently was the co-composer on our feature documentary "Dakota 38" which he worked on for over 3 years. In addition to scoring films, Jay also teaches educational technology at the Ethical Culture Fieldston School. David France is a world class violinist who once sent Silas an email after watching “Lusaka Sunrise” on youtube in 2006. “I am inspired and I want to help.” David then volunteered for a few days submitting “Lusaka Sunrise” to some film festivals from Silas’ apartment in Brooklyn and they both became the best of friends. David is the founder & director of the Roxbury Youth Orchestra and he has played Violin in many Smooth Feather soundtracks including “Dakota 38” and “Playing for Change”. David is also one of the head instructors at the Smooth Feather Film School. Cullen became a Smooth Feather Apprentice in the fall of 2016 and he and Silas worked together to create “Change is Coming” for Maine Inside Out which they premiered together at a sold out show of over 600 in Portland, Maine. Since then, Cullen has been learning more and more about film production and editing and he’s a great member of our team. 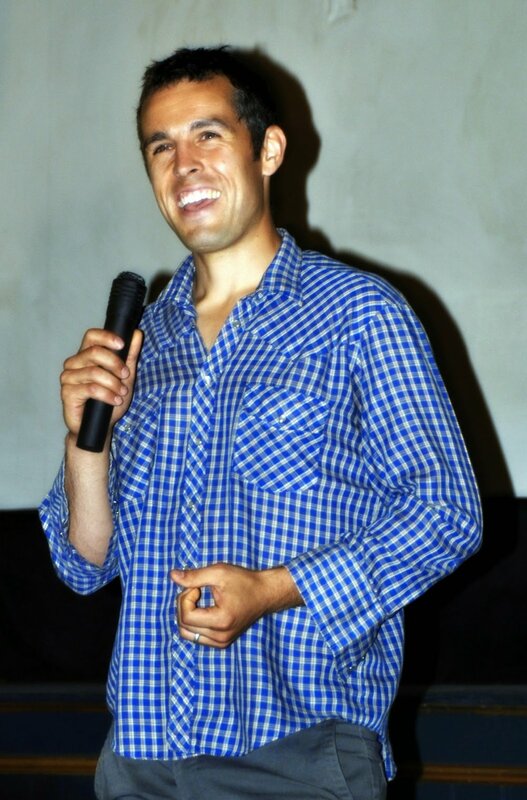 Adam initially joined Smooth Feather Productions to help setup some screenings of our short film "Lusaka Sunrise" in 2006. Adam then joined us in South Dakota and Minnesota for the production of "Dakota 38". Adam continues to help Smooth Feather Productions with their annual summer film school as an acting coach. Myles is a filmmaker and film studies professor based in NYC. We convinced Myles to be one of the instructors for the Smooth Feather film school and with a master’s degree in film studies, he brings such a depth to teaching which is amazing to watch. It’s an honor to have him part of the Smooth Feather Team and Myles has collaborated on many films with us over the years. Jon Corey is a top recording engineer who we first collaborated with while recording A.D.R. at the theater for Xander Berkeley in a CBS show called “Zoo”. Since that point, we call on Jon for anything relating to pro tools and high end audio recording at our studio at the theater.